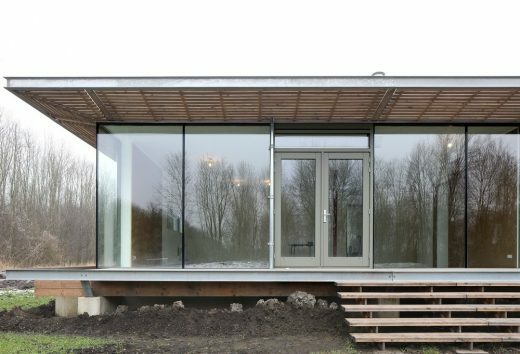 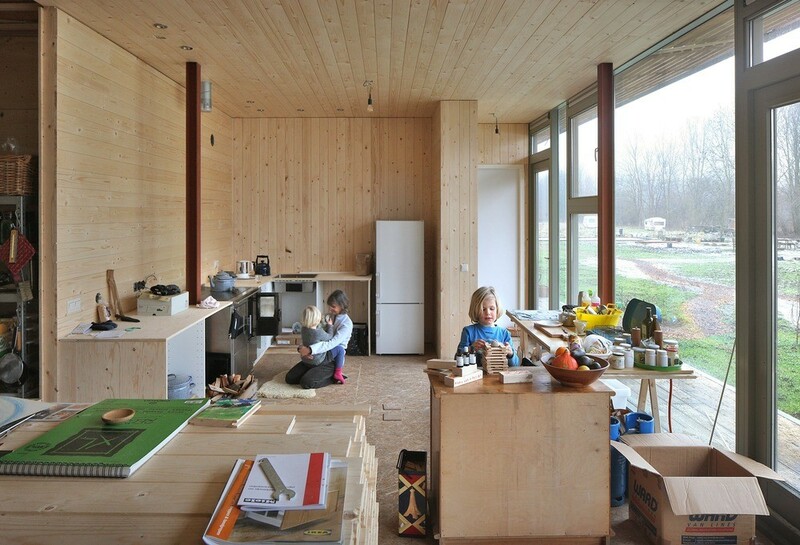 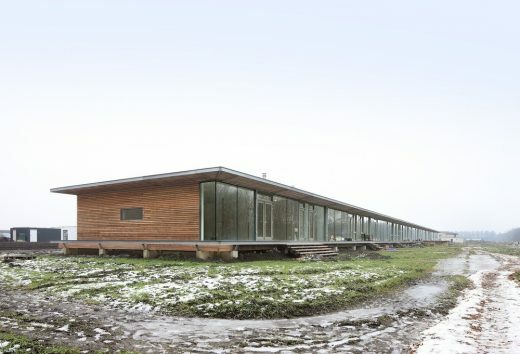 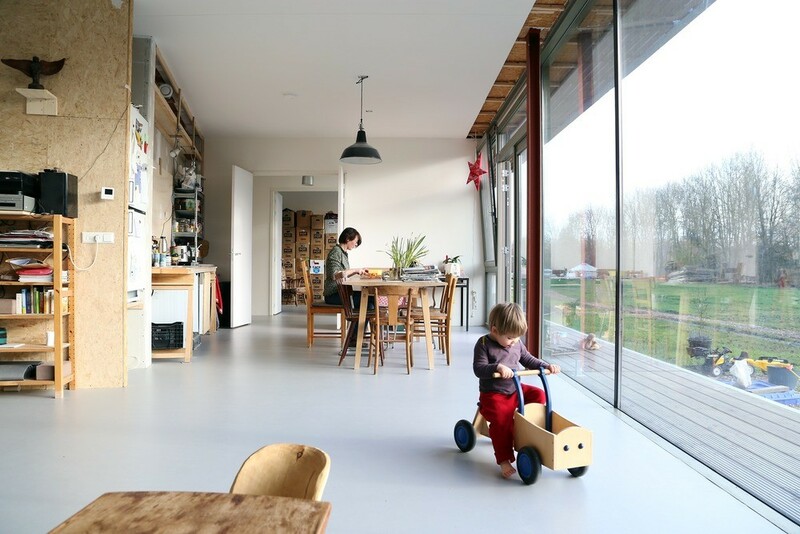 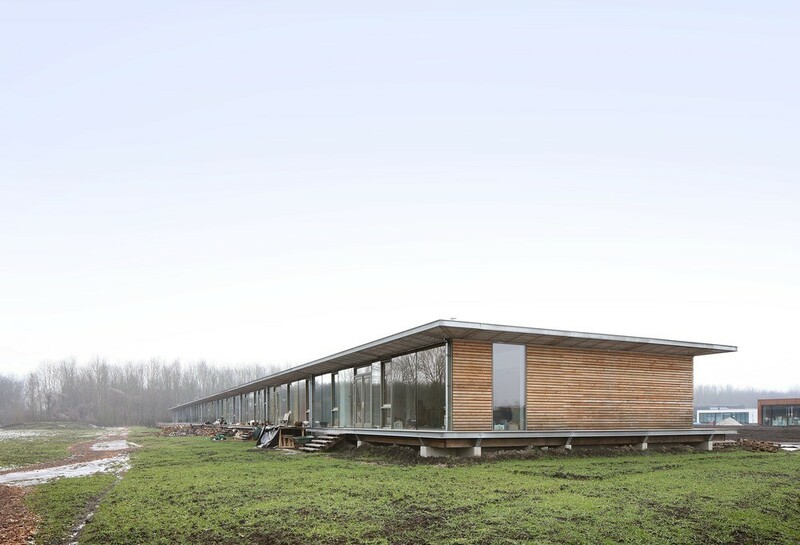 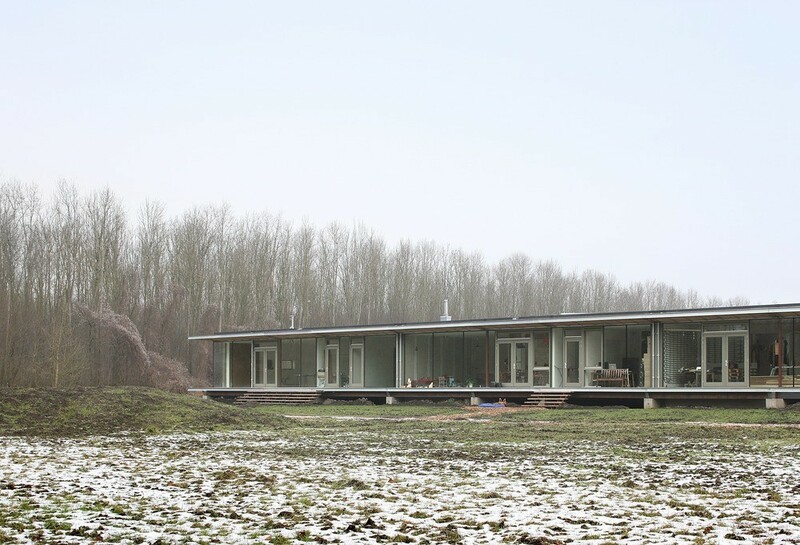 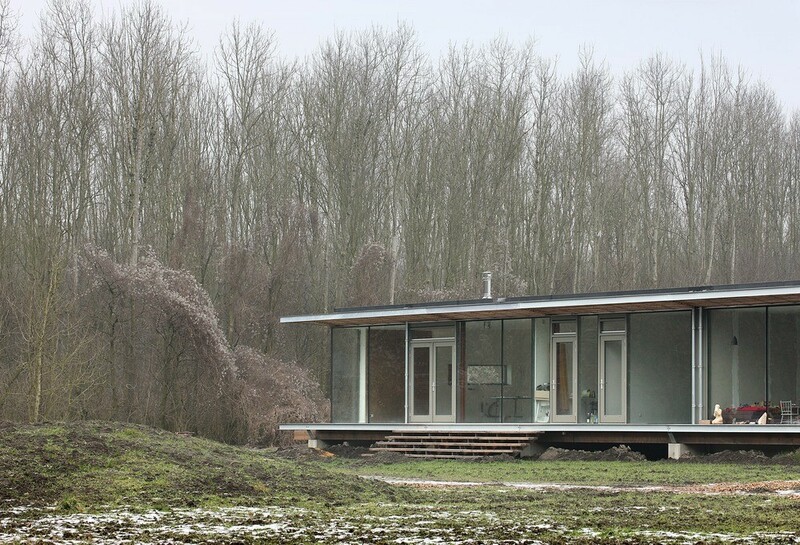 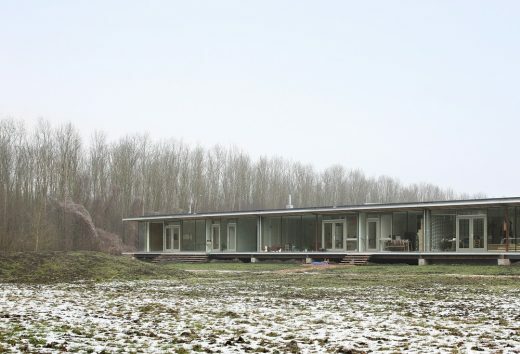 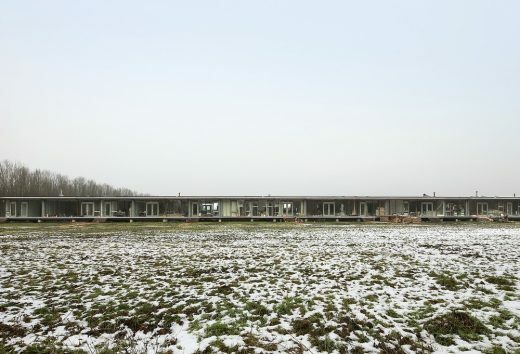 New Dutch housing, developing an alternative way of living in a former potato field. 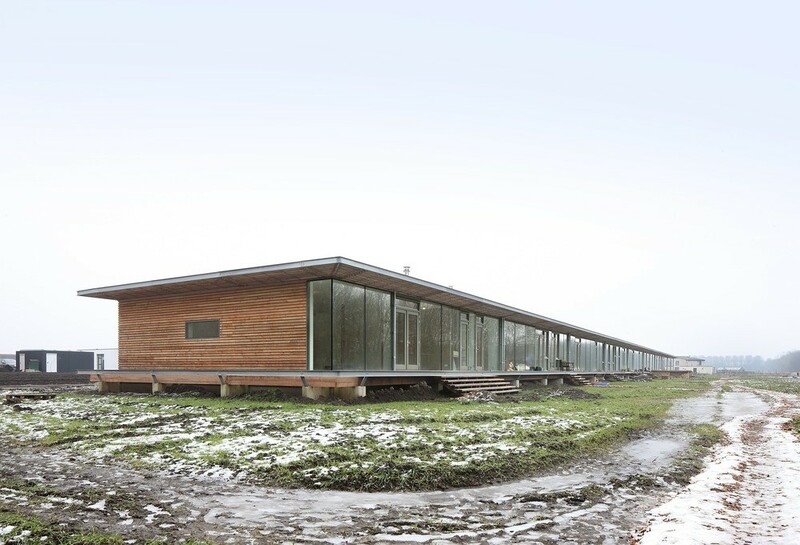 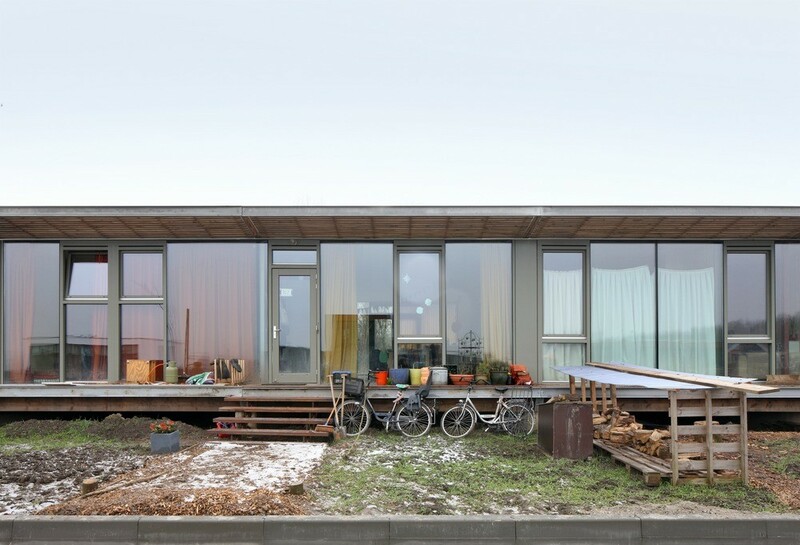 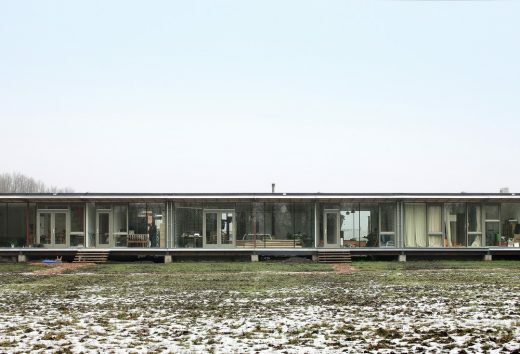 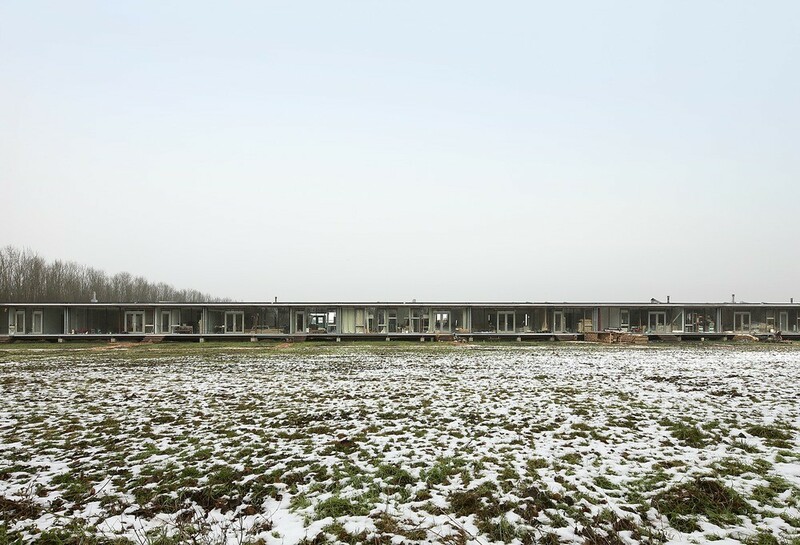 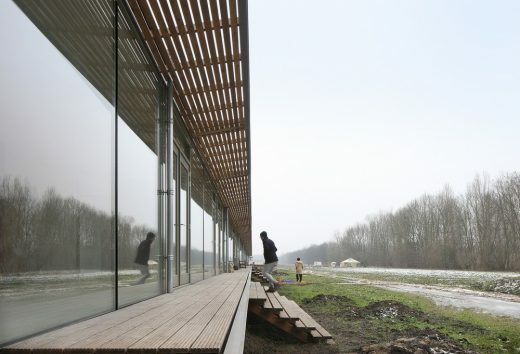 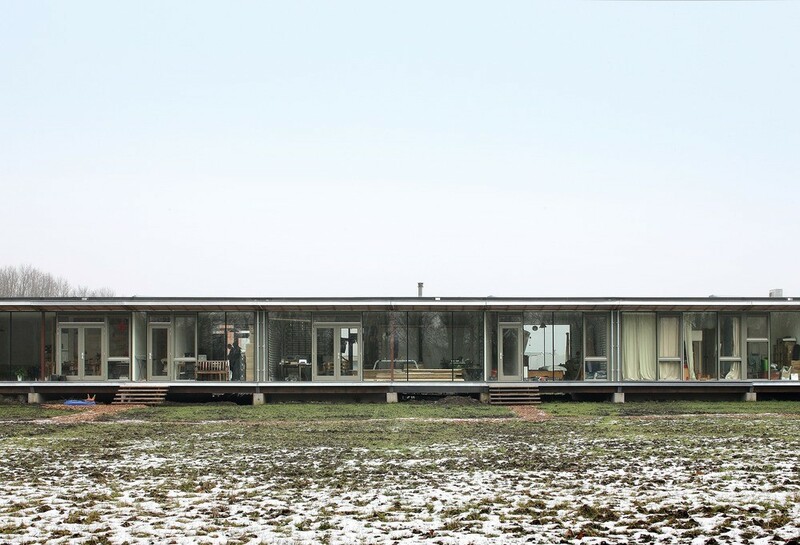 The austere new properties were built on a very limited budget: the 100-m-long complex accommodates nine homes, raised from landscape and using cost-efficient building materials. The architects came up with two preconditions to make the Oosterwold Co-living Complex project possible: they suggested finding like-minded people to join the project, since it is a lot cheaper to build several houses at the same time. 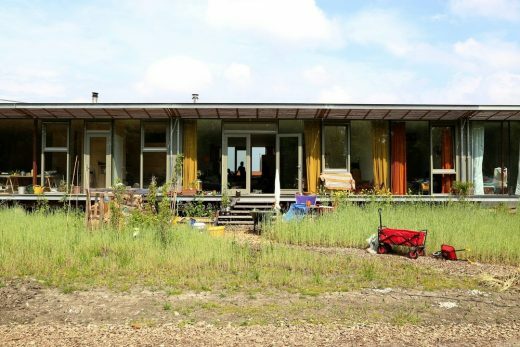 Luckily, Frode was able to find eight friends who shared his dream.